Open House 12PM - 5PM Saturday. 1 Full Month OP*. $1,000 Security Deposit - Exclusions Apply. Incentives Apply to New Residents Only. Prices Listed Are the Net Effective Rents with 1 Month Free on 12 Month Leases Unless Stated Otherwise. *Restrictions May Apply. Viewings are available by appointment. To schedule a viewing, please call 212-249-0367.Amazing, Newly-Renovated 2 Bed, 2 Bath, Featuring a Windowed Kitchen, Large Living Area and Abundant Closet Space including an Entryway Walk-in. 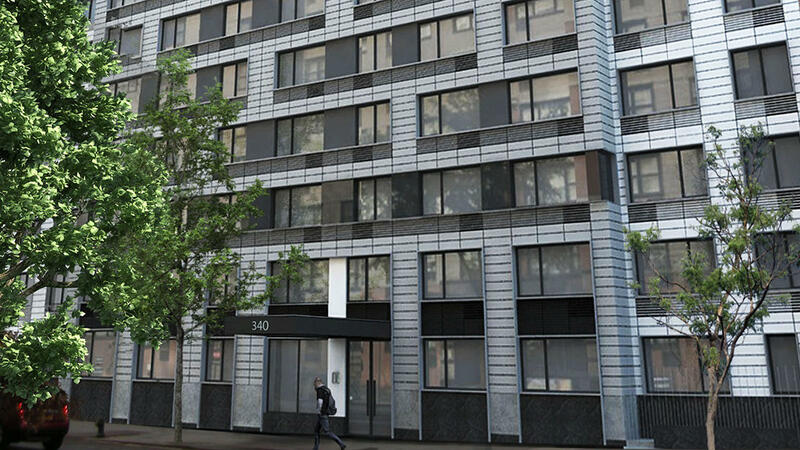 Gross $6395.With its signature East River views and beautifully landscaped roof deck, the newly-refurbished Plaza East offers the perfect escape from the hustle and bustle of Midtown. Located in the Kips Bay/Murray Hill area of Manhattan, the building’s studio, one and two bedroom apartments feature bright, spacious layouts, as well as newly re-designed kitchens and baths. The building is conveniently located just steps from shops, fine restaurants, movie theatres and other entertainment venues. Residents can enjoy a relaxing walk to the nearby East River Esplanade, as well as quick and easy access to major transportation lines, including the East River ferry. The building is also close to area medical centers. Finding a home at Plaza East, with its warm, friendly atmosphere and modern conveniences is an urban-dweller’s dream. 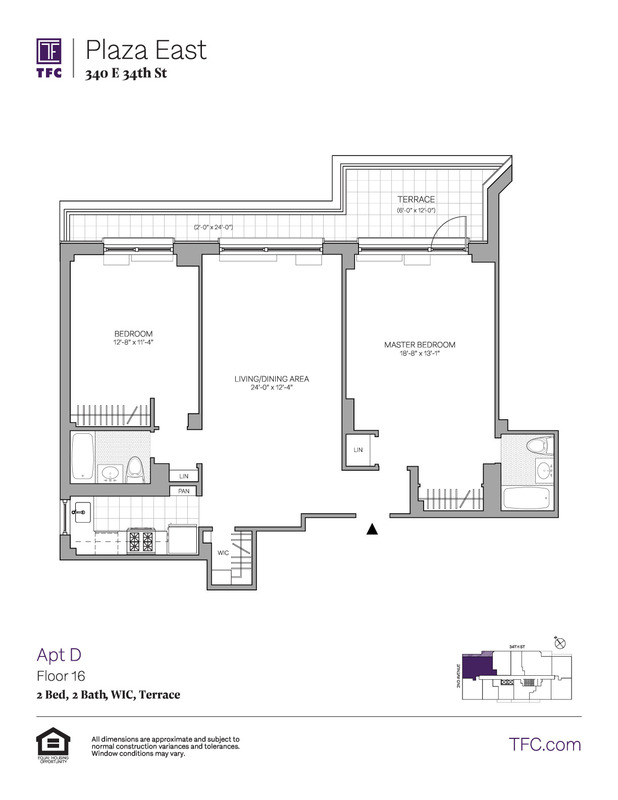 This unit is located at 340 E 34 St, a apartment in Kips Bay. Built in 1962, this post-war high rise property has 201 units.